1. You want to create a report displaying employee last names, department names, and locations. Which query should you use to create an equi-join? SELECT * FROM PRODUCTS ORDER BY price, product_name; What is true about the SQL statement? Q 5. Mark for review View the image below and examine the data in the EMPLOYEES and DEPARTMENTS tables. EMPLOYEE_ID is the primary key. MGR_ID is the ID of managers and refers to the EMPLOYEE_ID. DEPARTMENT_ID is the primary key. A. The statement executes successfully, leaves the manager ID as the existing value, and changes the salary to 4000 for the employees with ID 103 and105. As specified by the user during run time, through substitution variables SAL: 2000 MGR_ID: No value DEPARTMENT_ID: Supplied by the user during run time through substitution variable. The INSERT statement should fail if the user supplies a value other than 20 or 50. Which INSERT statement meets the above requirements? SELECT LAST_NAME, SALARY, DEPARTMENT_ID FROM EMP WHERE DEPARTMENT_ID = NULL; What is true about this SQL statement? B. It creates a role called REGISTRAR, adds the MODIFY privilege on the STUDENT_GRADES object to the role, and gives the REGISTRAR role to three users. C. It creates a role called REGISTRAR, adds the UPDATE privilege on the STUDENT_GRADES object to the role, and gives the REGISTRAR role to three users. D. It creates a role called REGISTRAR, adds the UPDATE privilege on the STUDENT_GRADES object to the role, and creates three users with the role. E. It creates a role called REGISTRAR, adds the UPDATE privilege on three users, and gives the REGISTRAR role to the STUDENT_GRADES object. F. It creates a role called STUDENT_GRADES, adds the UPDATE privilege on three users, and gives the UPDATE role to the registrar. Q 9. Mark for review You need to design a student registration database that contains several tables storing academic information. The STUDENTS table stores information about a student. The STUDENT_GRADES table stores information about the student's grades. Both of the tables have a column named STUDENT_ID. The STUDENT_ID column in the STUDENTS table is a primary key. You need to create a foreign key on the STUDENT_ID column of the STUDENT_GRADES table that points to the STUDENT_ID column of the STUDENTS table. Which statement creates the foreign key? Q 10. Mark for review You need to create a view EMP_VU. The view should allow the users to manipulate the records of only the employees that are working for departments 10 or 20. Which SQL statement would you use to create the view EMP_VU? Q 12. Mark for review The STUDENT_GRADES table has these columns: STUDENT_ID NUMBER(12) SEMESTER_END DATE GPA NUMBER(4,3) The registrar has requested a report listing the students' grade point averages (GPA), sorted from highest grade point average to lowest within each semester, starting from the earliest date. Which statement accomplishes this? NEW_EMPLOYEES EMPLOYEE_ID NUMBER Primary Key NAME VARCHAR2(60) Which DELETE statement is valid? Q 14. Mark for review A SELECT statement can be used to perform these three functions: - Choose rows from a table. - Choose columns from a table. - Bring together data that is stored in different tables by creating a link between them. Which set of keywords describes these capabilities? SELECT e.EMPLOYEE_ID,e.LAST_NAME,e.DEPARTMENT_ID, d.DEPARTMENT_NAME FROM EMP e, DEPARTMENT d WHERE e.DEPARTMENT_ID = d.DEPARTMENT_ID; In the statement, which capabilities of a SELECT statement are performed? Q 16. Mark for review View the image below and examine the data in the EMPLOYEES and DEPARTMENTS tables. You want to retrieve all employees' last names, along with their managers' last names and their department names. Which query would you use? A. You cannot use the EMP_ID_SEQ sequence to populate the JOB_ID column. B. The EMP_ID_SEQ sequence is invalidated when you modify the EMPLOYEE_ID column. C. The EMP_ID_SEQ sequence is not affected by modifications to the EMPLOYEES table. D. Any other column of NUMBER data type in your schema can use the EMP_ID_SEQ sequence. E. The EMP_ID_SEQ sequence is dropped automatically when you drop the EMPLOYEES table. F. The EMP_ID_SEQ sequence is dropped automatically when you drop the EMPLOYEE_ID column. You need to create a report of the 10 students who achieved the highest ranking in the course INT_SQL and who completed the course in the year 1999. Which SQL statement accomplishes this task? Q 20. Management has asked you to calculate the value 12* salary* commission_pct for all the employees in the EMP table. 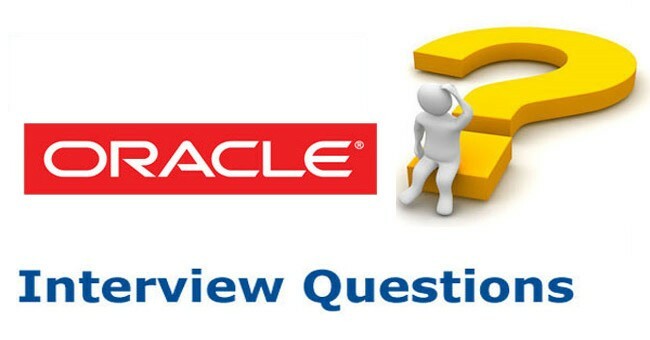 Get More Questions and Answers with Explanation at Oracle Forums.